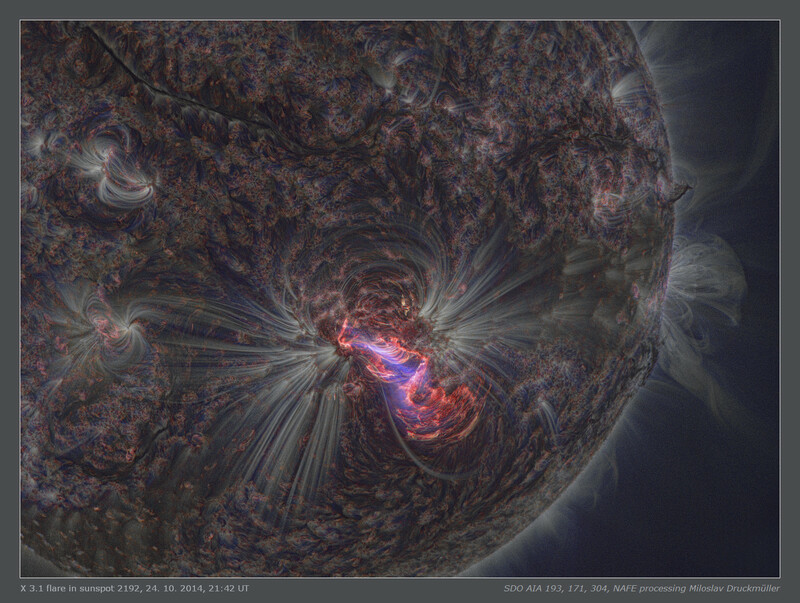 Explanation: Solar active region AR2192 was the largest recorded sunspot group of the last 24 years. Before rotating off the Earth-facing side of the Sun at the end of October, it produced a whopping six energetic X-class flares. 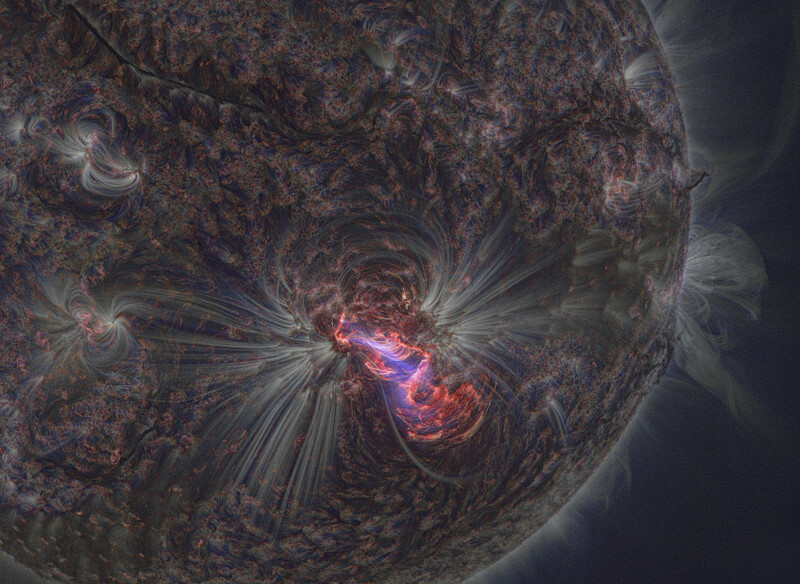 Its most intense flare was captured on October 24 in this stunning view from the orbiting Solar Dynamics Observatory. The scene is a colour combination of images made at three different wavelengths of extreme ultraviolet light; 193 angstroms shown in blue, 171 angstroms in white, and 304 angstroms in red. The emission, from highly ionized Iron and Helium atoms, traces magnetic field lines looping through the hot plasma of the Sun's outer chromosphere and corona. Beneath, the cooler solar photosphere appears dark at extreme ultraviolet wavelengths. The exceptionally sharp composite image has been processed with a new mathematical algorithm (NAFE) that adapts to noise and brightness in extreme ultraviolet image data to reliably enhance small details.